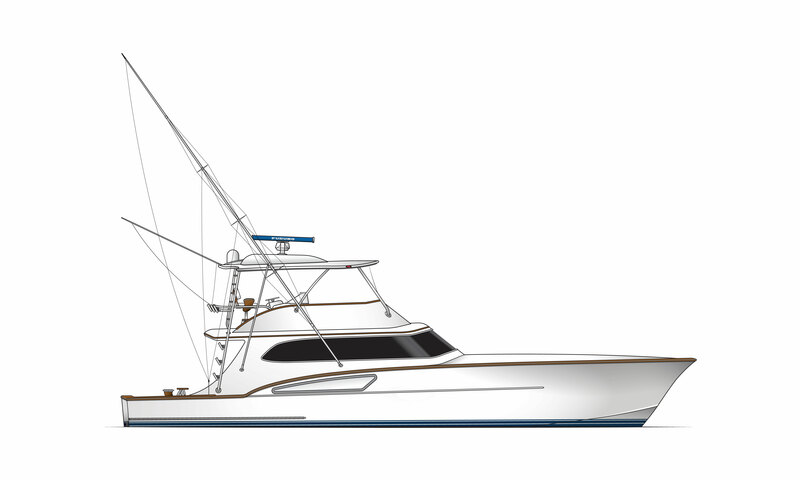 When complete, Hull 140 will feature twin C32 ACERT 1600 BHP at 2300 RPM engines, gyro stabilizers, a 1700+-gallon fuel capacity, plus a 300-400-gallon freshwater system. She’ll also sport a full galley and a roomy salon with all the comforts of a luxury home. Much of the interior detail is still to be determined by the owners, as well as Paul and his engineering team, but teak accents will be on the exterior areas and cherry for joinery.